Despite growing awareness, steady advances in medical treatment and increased regulation, the life years lost to asbestos-related diseases around the world continue to reach staggering proportions. Between 1994 and 2010, more than 2.1 million years of human life were lost to malignant mesothelioma, according to an extensive study finished recently by the Institute of Industrial Ecological Sciences, University of Occupational and Environmental Health, Japan. The study is published in the September issue of the American Journal of Industrial Medicine. Based on the study, future prospects are not encouraging. It accentuates the need for more vigilance globally in curbing the use of asbestos, the toxic, naturally occurring mineral that causes a variety of serious health issues, including mesothelioma cancer. Use of asbestos has declined dramatically in recent decades in North America, Europe and Australia, but it has increased in many still-developing countries throughout Southeast Asia, Africa and Western Europe. Although the World Health Organization (WHO) estimates that 107,000 people worldwide die each year from an asbestos-related disease, this study reported just 128,015 deaths from malignant mesothelioma and only 13,885 from asbestosis during the 17-year period. There were 82 countries included, but not China, India or Russia — where asbestos use still is widespread because no reliable national figures were available. The average number of life years lost per death was 17 for mesothelioma and 13 for asbestosis, based upon a measure of premature mortality. The average age of death from mesothelioma was 69.2 years and 73.4 years with asbestosis. The average PYLL was 3.1 years more for women than men, and the difference was largely attributed to a woman’s longer expected lifespan. The grim statistics are not surprising to those who have lobbied for a worldwide ban on asbestos. The report concluded with an annual average of 200,785 potential years of lost life (PYLL) from mesothelioma and 17,124 from asbestosis. 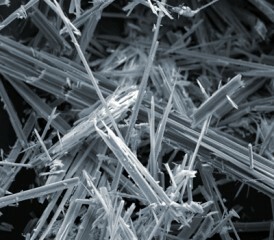 “The conclusions of this paper do not surprise me,” Laurie Kazan-Allen, coordinator of International Ban Asbestos Secretariat, told Asbestos.com. She lives in the United Kingdom, where there were a reported 2,347 mesothelioma deaths in 2010. Lord David Freud, Parliamentary Under-Secretary of State, Department of Works and Pensions, told the House of Lords in the UK earlier this year that he expects an estimated 28,000 deaths from mesothelioma between July 2012 and March 2024. “I whole-heartedly endorse the sentiments of this paper’s authors, who said. ‘The future burden of ARDs can be eliminated by stopping the use of asbestos,'” Kazan-Allen stated.